Bangladeshi model Nafisa Jahan is well know face in Bangladeshi media. Bd model Nafisa Jahan many days does not involve modeling. Recently she is shooting in Uttra. The television drama name is rater Adher. This is one hour drama. Her notable drama is No problem, Ojana gontobbo, Ai to valovha, Aim in life etc. Nafisa Jahan is busy for television drama. But recently she is talking with a company for modeling. Nafisa Jahan said that I love acting and modeling. But I am a not good actress now. Moreover I am trying to best performance. After five years audience can be tell what is the status of my acting. Nafisa smile is cute. Nafisa Jahan talks well. Some days ago she accident now she is well. Nafisa Jahan is study in computer science in a private university. She wants to finish her study. Nafisa Jahan also wants to continue acting seriously. But when Bangladeshi model Nafisa Jahan marriage she can continue acting if they husband family wants. Nafisa Jahan is peaceful model. Bangladeshi actress Nafisa Jahan is performing with Bangladeshi famous actress Mousumi. 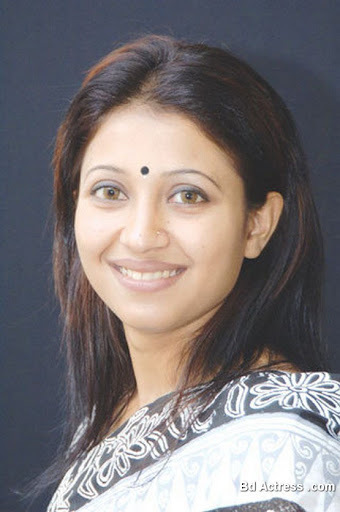 She is fan of Mousumi.